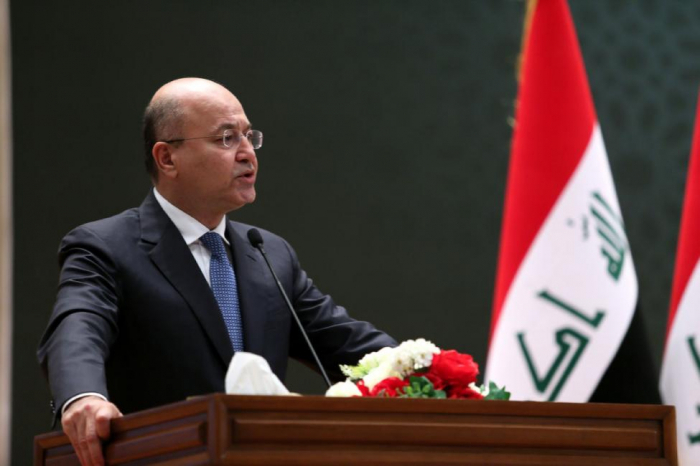 Iraqi president-elect Barham Salih stressed the need for promoting toes with the Islamic Republic of Iran, IRNA reports. In a meeting with Iran’s Ambassador to Iraq Iraj Masjedi, he hailed the two countries' long-standing ties and called for deepening them in various fields. Salih added that during telephone conversations with regional heads of state and his meetings with various ambassadors, he has stressed the need for deescalating tension in the region and enhancing relations with Tehran. “Promoting ties and interaction among regional states will benefit the entire region,” he said. Iran’s ambassador, for his part, congratulated Salih on his election as Iraq’s new president, voicing readiness for further efforts in line with enhancing cooperation between the two neighboring states. Iraq's parliament elected the veteran Kurdish politician as the country's new president last week, a step toward forming a new government nearly five months after national elections. Salih has named independent Shia candidate Adel Abdul Mahdi as prime minister-designate, after an inconclusive national election in May.